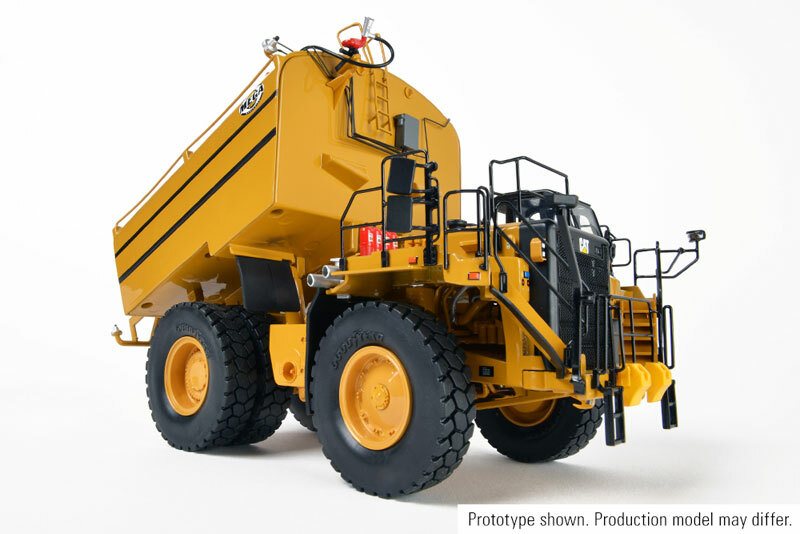 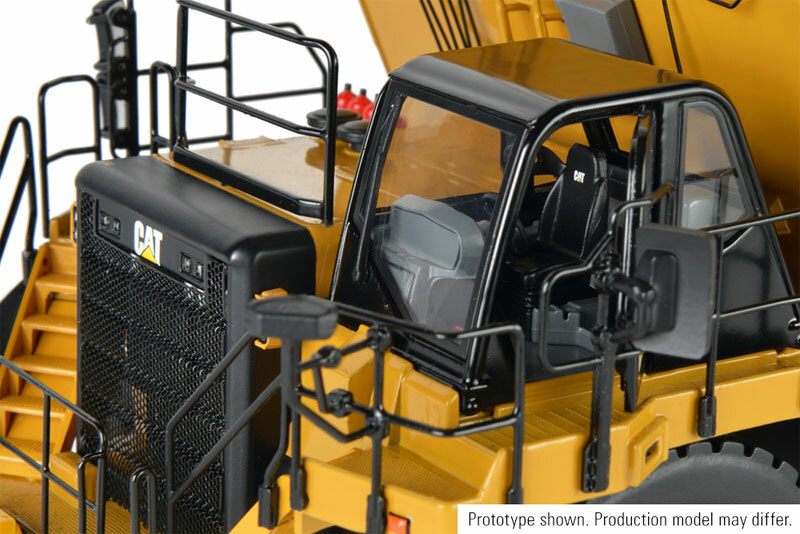 This diecast model will be based on the finely rendered details of the Cat 777G haul truck. 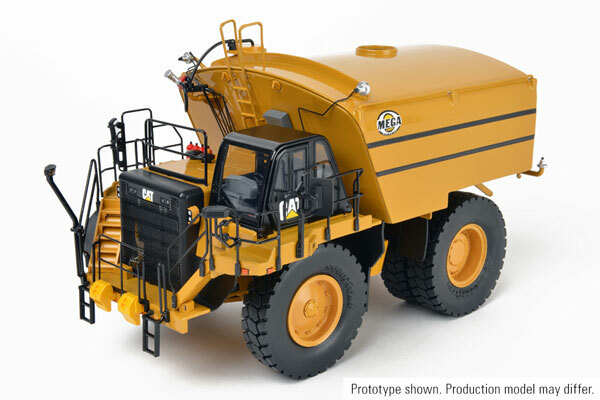 In keeping with the design of the actual machine, this replica of the Mega MTT20 water tank will pin to the truck chassis. 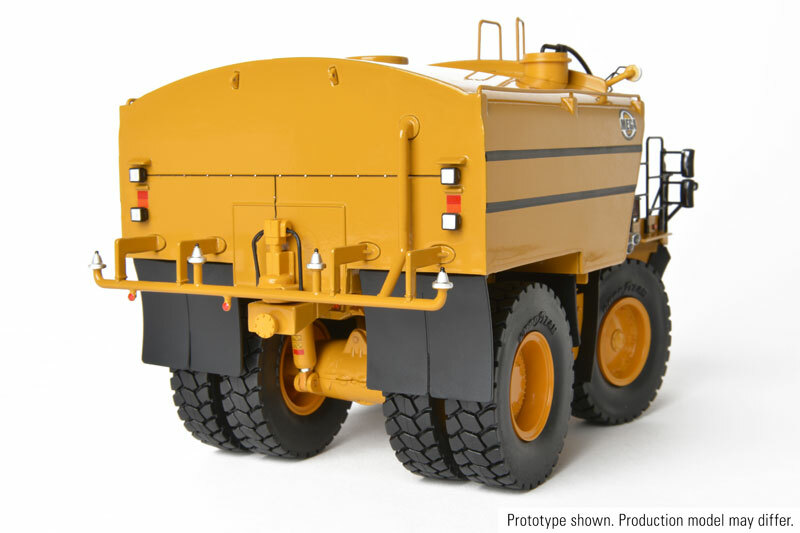 Other details that will be replicated on the model include the Mega water pump feeding the rear spray bar with 4 horizontal spray heads, the 2 vertical spray head valves mounted on top of the tank and the water cannon fed by an additional hose from the foam agent system reservoir embedded in the tank. 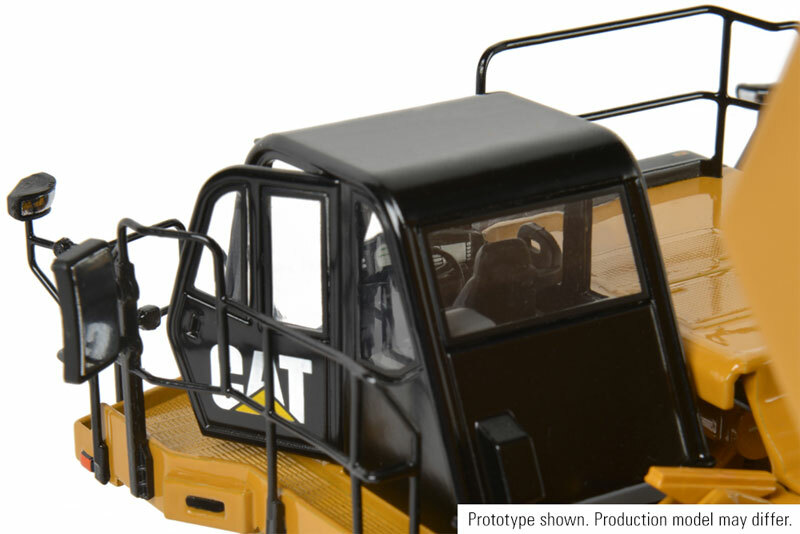 A fill port safety grate, ladder and safety rails are among the other realistic details found on the model.